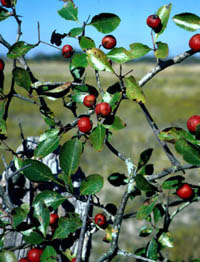 This is the most widespread Texas hawthorn. 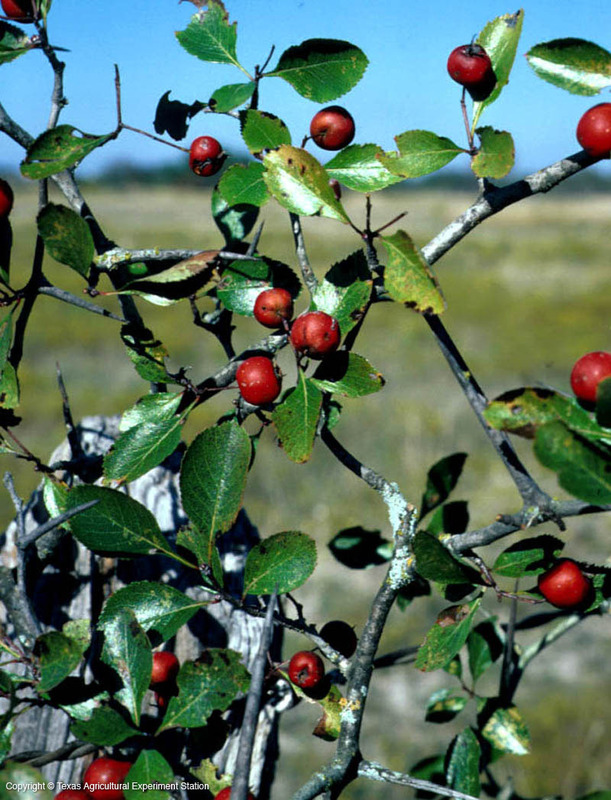 It has shiny, leathery leaves and dull red to greenish fruit, but it is most readily identified by its long, fat thorns that are 4 to 8 inches long. 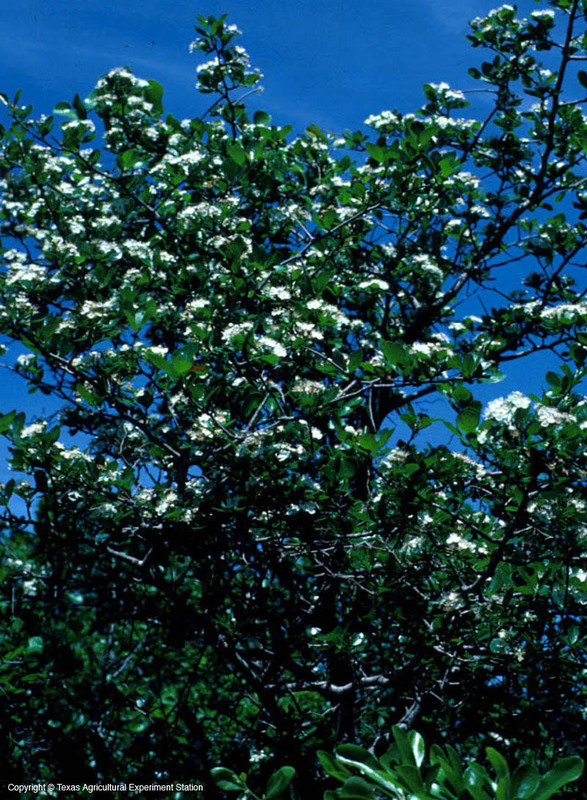 Cockspur hawthorn is widely cultivated in the eastern part of the state and throughout the U.S. because of its glossy leaves, the very showy white flowers that appear after the leaves, and its attractive form - a rounded crown with a strongly horizontal branching pattern.